On Deck will be here all season to provide you with everything you need to know (and a few things you don't) about every postseason game during the 2015 season. The Teams: The Packers stumbled to the finish line in the regular season, winning just four of their final 10 games while the offense sputtered. Still, though, they looked pretty great after a slow start in a throttling of the NFC East champion Redskins on the road on Sunday. 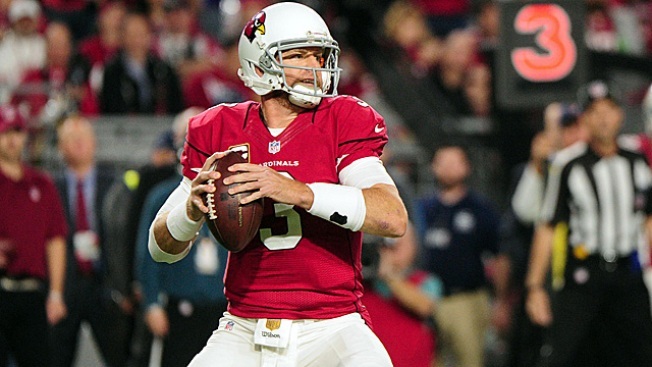 The Cardinals just might be the most complete team in the NFL and will be looking to end Aaron Rodgers' 2015 season. Past Meetings: The Packers lead the all-time series 45-24, including a stunning Cardinals playoff win in Glendale back in 2010 when Kurt Warner led the way to a 51-45 overtime win over Green Bay. The Cardinals beat the Packers by 30 points just a couple of weeks ago in Glendale. Who's Hot: Aaron Rodgers wasn't phenomenal, but he surely wasn't bad either. He threw for 210 yards and two touchdowns with no turnovers while tossing scores to Devante Adams and Randall Cobb. The two-headed running back committee of Eddie Lacy and James Starks combined for 116 yards and two scores on 24 carries. The main thing going well for the Cardinals right now is just rest and the fact they're at home where they generally play very well. Of course, that wasn't the case in Week 17 when they got beat 36-6 by Seattle in a game which Carson Palmer left early to avoid injury. Who's Not: Adams is out with a leg injury, so there goes another of Rodgers' targets. Palmer threw for just 129 yards and a score with a pick on 12-of-25 passing and rookie running back David Johnson rushed for just 25 yards on 11 carries.